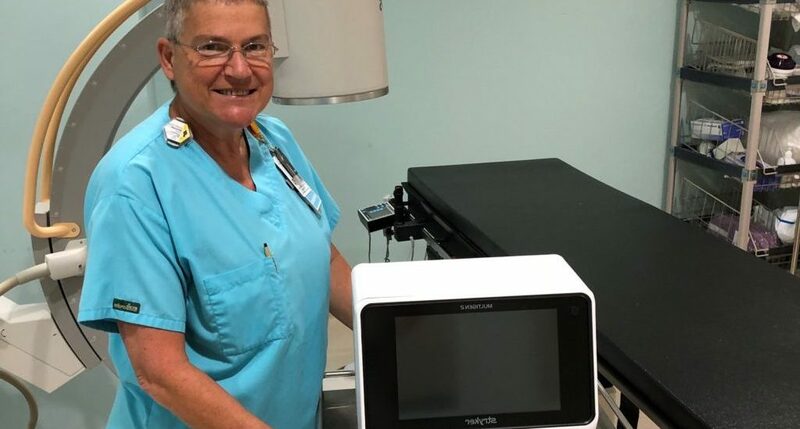 Our professional, compassionate, and dedicated NICU team performed their first exam with the newly purchased Retinal Camera Shuttle on the first VCMC baby who needed care. Thank you Ventura Downtown Lions Club, VCMC Auxiliary, and an anonymous donor for collaborating to purchase this much needed equipment which will be used in NICU, Pediatrics, Emergency Department, and Ventura County Pediatric Diagnostic Center with premature babies, diabetic patients and with shaken baby syndrome that can be diagnosed and treated with the help of this equipment. Baby checked out well and is resting comfortably with family and our NICU staff! To view more photos and videos visit our Facebook Page!